Dr. Paul Pace – hand and wrist specialist and long time member of TSAOG – will be retiring from private practice, effective June 30th, 2018. Current patients of Dr. Pace will have the option of transferring their care to another TSAOG physician or any other physician of their choice. If you are a current patient with Dr. Pace and have any questions about your medical records or continued care, please contact our main office at (210) 804-5400. Dr. Pace joined TSAOG in 1998 and has served as an important leader in our practice for 20 years. According to TSAOG President Dr. Stephen Burkhart, “Dr. Pace was a driving force in the merger of four separate San Antonio orthopaedic practices into what is now known as TSAOG. He was a tireless worker on the TSAOG Management Committee, and was instrumental in the early success The Orthopaedic Surgery Center of San Antonio. He led TSAOG’s physician recruitment efforts for many years, and was responsible for recruiting most of our younger surgeons to TSAOG. Despite an incredible appetite for work, Dr. Pace will always be known as a fun-loving guy who brightened everyone’s day with his Mardi Gras and Fiesta celebrations. […] And how about the Spurs? Was there ever a more devoted Spurs fan than Dr. Pace (ask the referees whose names and numbers were on his business cards so that they could be heckled in a more, er, personal manner)? Professionally, Dr. Pace was a member of the American Society for Surgery of the Hand, a highly prestigious organization that invites only the top hand surgeons in the U.S. to become members. In addition to his busy clinical practice, Dr. Pace found time to serve on the Board of Governors of the Tulane School of Medicine, and to participate as an active member of The Texas Cavaliers. Finally, Dr. Pace has been a devoted family man. We are sure that his wife Peggy and his children will enjoy seeing more of him in retirement. All TSAOG clinic locations, as well as both locations of the OrthoNow Injury Clinic, will be closed on Wednesday, July 4th, 2018 to allow our physicians and staff to celebrate with their families. All locations will be open for normal business hours the rest of the week. All TSAOG offices and the OrthoNow Injury Clinic will be closed on Monday, May 28th, to allow our employees to celebrate Memorial Day with their families. We will resume normal operating hours at all locations on Tuesday, May 29th. Please note: the OrthoNow Injury Clinic at our Quarry Area location will be open Saturday, May 26th from 9am-1pm for your immediate orthopedic needs. This Friday, April 27th, all TSAOG clinics will be open from 8am-Noon only. All offices will close at the half day for Battle of Flowers. On Friday, April 27th, both OrthoNow Injury Clinics will be open from 9am-1pm. Regular Saturday hours, 9am-1pm, will resume for the OrthoNow Injury Clinic at our Quarry Area location on Saturday, April 28th. Learn more about OrthoNow, TSAOG’s Urgent Injury Clinic. This Friday, March 30th, all TSAOG clinics will be open from 8am-Noon only. All offices will close at the half day in observance of Good Friday. On Friday, March 30th, both OrthoNow Injury Clinics will be open from 9am-1pm. Regular Saturday hours, 9am-1pm, will resume for the OrthoNow Injury Clinic at our Central location on Saturday, March 31st. Have a safe and happy Easter weekend! Plantar fasciitis is inflammation of the band of tissue that connects your heel bone to your toes (the plantar fascia) and a very common cause of heel pain. People suffering from plantar fasciitis generally report stabbing pain in the heel, which can be more severe in the morning. Treatment options for plantar fasciitis can range from simple stretching techniques to surgery, depending on the severity of the condition. I sat down to talk with Dr. David Hughes about EPAT, a nonsurgical treatment option for plantar fasciitis which is now available at TSAOG Orthopaedics. EPAT stands for extracorporeal pulse activation technology, also known as shockwave therapy. The technique has been used for years in Europe and the US to treat numerous chronic inflammatory conditions. EPAT uses high intensity sound waves to break up scar tissue and increase blood flow to areas where there is poor circulation, which stimulates healing. How long does EPAT treatment take and how many treatments will I need? Each session lasts about five minutes and patients will generally require between a minimum of 3 and a maximum of 5 treatments. What does an EPAT treatment feel like? EPAT treatment feels like getting snapped with a rubber band repeatedly initially, then dulls to the point where light pulses are noted. When should I start to feel the treatment working? It can take up to four weeks to feel pain relief, though some patients report immediate pain relief after their treatment. Is EPAT treatment covered by insurance? How much does it cost? Unfortunately, EPAT is not covered by insurance. Treatment cost is $495 for three treatments of one foot and $695 for three treatments on both feet. If a 4th or 5th treatment is required, there is a fee of $100 per treatment regardless of one or both feet. The biggest benefit is pain relief. Over 80% of EPAT patients report significantly reduced or eliminated pain. While no treatment is 100% effective, EPAT can help to heal chronic conditions that don’t respond to traditional treatment. Additionally, since EPAT is a non-invasive therapy, there is no anesthesia required, no scarring, no risk of infection, and no recovery period after treatment. Patients don’t have to take time off work or stop their activities. Is there anyone who shouldn’t try EPAT for plantar fasciitis? EPAT is not recommended for people who have a pacemaker or are on blood thinners. Dr. David Hughes is a podiatrist with TSAOG Orthopaedics. He has a special interest in the correction of foot disorders and deformities including arch disorders, hammertoes, bunions, turf toe, and charcot foot. He has appointments available at our Medical Center and Westover Hills locations. You may have noticed our redesigned logo popping up on our website, social media, and printed materials. That’s because (you guessed it – or you read the headline), The San Antonio Orthopaedic Group is now TSAOG Orthopaedics! The San Antonio Orthopaedic Group (TSAOG) has been an institution in San Antonio since 1947. Over the years, our practice has grown exponentially – adding new physicians, specialties, and clinic locations. Though we recognized that our brand had to evolve with our practice, The San Antonio Orthopaedic Group (TSAOG) was how we started and will forever be a part of who we are. In 2017, our physicians voted to adopt the name TSAOG Orthopaedics to embrace who we have become and honor how we got here. So what does TSAOG stand for now? While TSAOG will no longer officially stand for The San Antonio Orthopaedic Group, our vision, mission, and values remain unchanged. TSAOG stands for the same principles we’ve always stood for and we will continue to work to provide unparalleled patient care to our community for generations to come. UPDATE 1/16/18 at 4pm – TSAOG will be open normal business hours on Wednesday, January 17th. 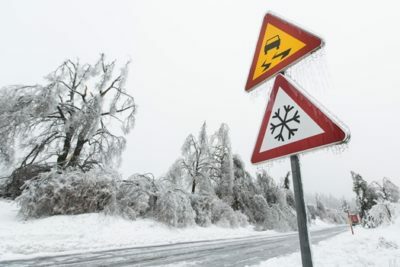 The weather forecast for tomorrow – Tuesday, January 16th – predicts freezing rain and temperatures which will create hazardous driving conditions throughout the day. Due to safety concerns for our staff and our patients, TSAOG has decided to cancel all patient appointments scheduled tomorrow and close our offices. This includes surgical cases at the outpatient surgery center and OrthoNow appointments and walk-in hours. We will be sending automated messages to patients cancelling their appointments and asking them to contact us to reschedule beginning today at 4:30pm. If you have an appointment scheduled tomorrow, please contact our scheduling department at (210)281-9595 to reschedule your appointment. As of this time, we intend to reopen with normal business hours on Wednesday, January 17th, but if there is severe weather in the area, road closures affecting a wide area, or if major school districts are closed, we may be as well. Bookmark this blog entry and follow our Facebook Page for updates. If there are no postings or updates to the blog, we will be open as usual on Wednesday, January 17th. Stay home and stay safe. The day my son was born was one of the happiest days of my life. However, something was different. Two weeks later, we were informed that my son had been diagnosed with Cystic Fibrosis. I had learned about this disorder in medical school but never thought that it would affect “my” family. Cystic fibrosis (CF) is a life-threatening genetic disease that primarily affects the lungs and digestive system. An estimated 30,000 children and adults in the United States (70,000 worldwide) have CF. In people with CF, a defective gene and its protein product cause the body to produce unusually thick, sticky mucus that clogs the lungs and leads to life-threatening lung infections. It also obstructs the pancreas and stops natural enzymes from helping the body break down food and absorb vital nutrients often causing diabetes. Every day, my son wakes up and does thirty minutes of airway clearance, which involves nebulized medicines and a vest attached to a compressor that helps clear the mucus from his lungs. With breakfast, he takes two shots of insulin and a morning pill regimen which consists of 8 different pills. After that, he proceeds with his day like a normal teenager, except that with every meal and snack he takes another shot of insulin and 4 more pills. When he comes home from school, he does another nebulizer treatment and then goes to the gym for 2 hours and does cardio and weight training to keep him from getting sick. When he gets home from the gym, he does his homework, takes nighttime pills, and does another thirty minutes of airway clearance so that he can finally go to bed. For those counting, that is over 40 pills, 10 insulin shots, and over one hour of airway clearance every day just to stay healthy. Even with his best efforts, sometimes he has to go to the hospital for “tune-ups”. He has been hospitalized almost every year of his life for up to two weeks at a time for IV antibiotics. In the 1950s, few children with CF lived to attend elementary school. Since then, tremendous progress in understanding and treating CF has led to dramatic improvements in the length and quality of life for those with CF. Many people with the disease can now expect to live into their 30s, 40s, and beyond. Donations to the Cystic Fibrosis Foundation help fund the scientific research that adds tomorrows for those children and adults living with CF. Please consider participating in the 2018 Tower Climb and Run or making a small donation to help this worthy cause. The Lone Star Chapter of the Cystic Fibrosis Foundation is TSAOG’s Charity of the Month for January. Please join us as we volunteer and participate in the 2018 Tower Climb and Run on Saturday, January 27th. This year marks the 33rd year of the Tower Climb and Run, sponsored by the Lone Star Chapter of the Cystic Fibrosis Foundation. It aims to raise awareness and money to work toward a cure for Cystic Fibrosis. The Tower Climb and Run is a unique athletic event which offers not only a run, but a climb up 952 steps to the top of the Tower of the Americas, a San Antonio landmark! The event will be lots of fun, culminating in a party at the base of the Tower, featuring food, music, medals, and bragging rights. Please join us in volunteering or participating in this event!! Sign up to join Team TSAOG at the Tower Climb or Donate Now! 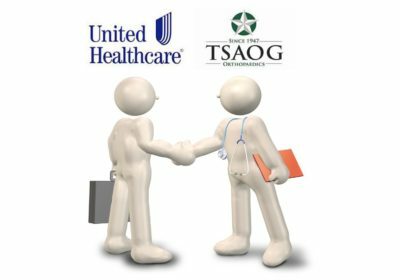 It has come to our attention that TSAOG’s providers are showing as out of network with United Healthcare as of the start of 2018. Rest assured, TSAOG’s providers are all still IN NETWORK with United Healthcare and there has been no interruption in our network status. This is a technical difficulty that United Healthcare (UHC) is working to resolve through their website as we speak. UHC has assured us that this should be resolved quickly and we apologize for any confusion this may have caused.